Connie Hawk joined the Licking County Foundation as Director in November 2007. In this position, she oversees strategic development, fund development, marketing communications and operational oversight. Previously, she worked at the Midland Theatre for three years as Assistant Director. Before joining the Midland, Connie was Executive Director of Ohio Ballet in Akron for two years. Connie also has 16 years of experience in advertising and marketing communications with a prominent Akron-based advertising firm, Hitchcock Fleming & Associates, Inc. 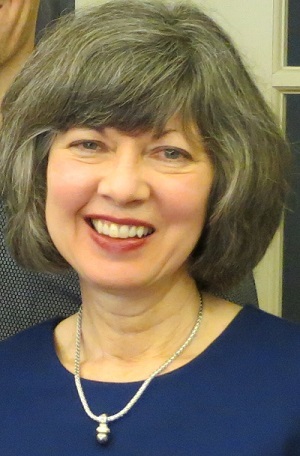 Currently, Connie serves on the board of Philanthropy Ohio, and is a member of the Granville Rotary Club (past president), Women in Nonprofit Leadership of Licking County, and the Cultural Alliance of Licking County. Connie, along with her husband Steve, lives in Granville with their 5 cats. She enjoys the arts, historic architecture, antiquing, reading, cooking, gardening, and travel. Connie’s favorite thing about the community is the generosity of its people and the dedication of its nonprofits make Licking County a very special place! Fun fact: Connie collects vintage minnow buckets!